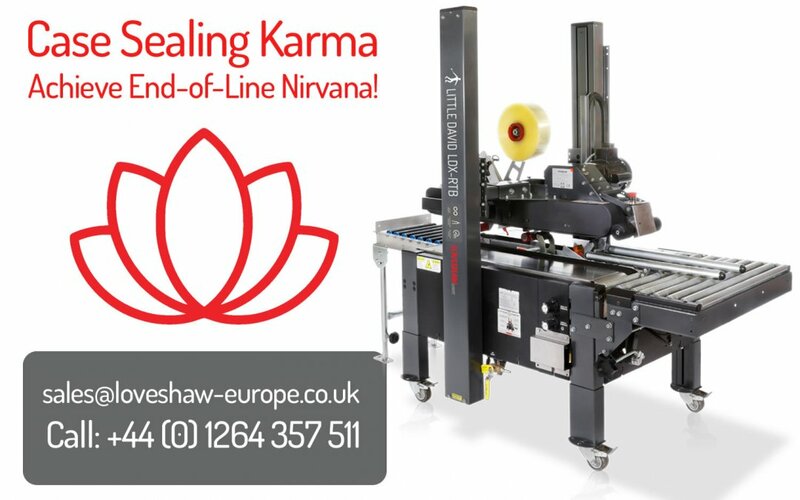 Yes yes, humour aside, whilst case sealing karma and contemplation is probably pushing it a bit too far, we do think Loveshaw machines can help with a good night’s sleep. This is a result of Loveshaw’s ‘mantra’ of high quality engineering reliability, regulation compliance and lifetime warranty. Creating peace of mind for years to come, for CEO and shop floor manager alike. For 50 years Loveshaw has been designing and engineering case sealing machines. That means 50 years of research and development. Loveshaw’s brand and product range is recognised around the world, and is synonymous with high quality. We have consistently pushed standards of reliability. Purchasing a Loveshaw product means improved productivity and peace of mind. Loveshaw machines take away the worry of compliance, and staff health and safety. Compliance is in the Loveshaw DNA. Operating safely is paramount. Our machines are always at the forefront of compliance standards. Every packaging machine is subject to independent audit verification for compliance to the Machinery Directive, and all CE, BS and PUWER standards.